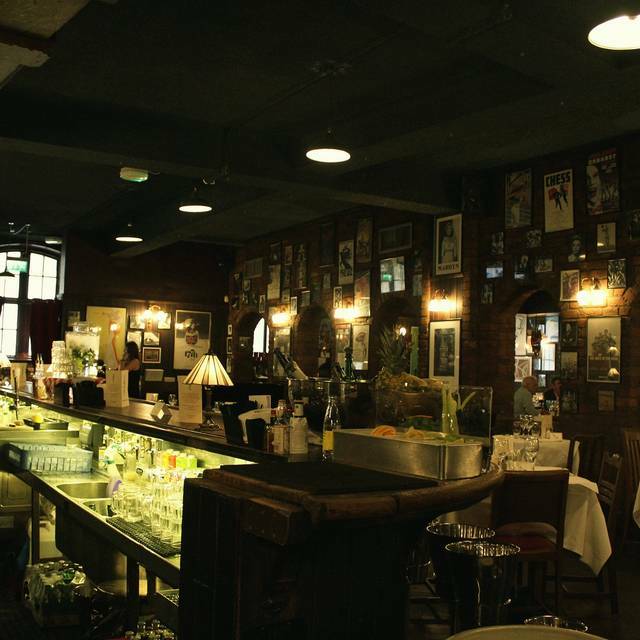 The combination of a great location, informal environment and quality food made Joe Allen an instant hit with the theatre community as well as theatre goers. It's the perfect location for someone searching for great food whether in casual dress or glamorous depending on individual choice. Pianist plays background music, mainly theatre tunes from 7:00PM to 11:00PM Monday through Thursday. Friday and Saturday 8:00PM till midnight. Our Private Dining Room allows you to enjoy the convivial atmosphere of the restaurant in the same space that has seen theatrical royalty party the night away. 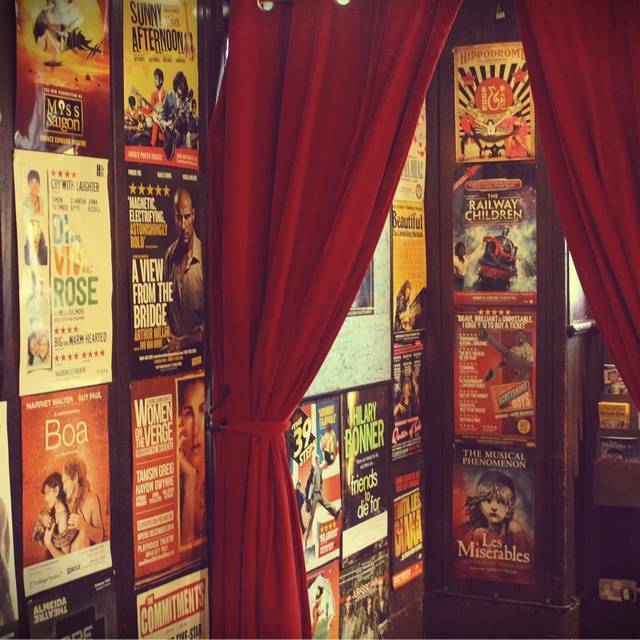 Dine under posters of New York Broadway productions and enjoy your event whilst your every need is attended to by our experienced team. Nice atmosphere for after theater dinner and food was pretty good. Service went downhill after we were served dinner - our waitress was busy chatting with coworkers and just disappeared for about twenty minutes. Joe Allen is totally unique. It has a wonderful ambience with a lovely showbiz feeling. You always get a warm welcome. The food is varied and delicious and you never feel rushed. I have been going to Joe Allen for 40 years. I am sorry to see it moving it's location but I am sure it will be as brilliant as ever in its new home. I dined here with my partner. We wanted to visit here before it closes and moves on 23rd July. This restaurant has been here for years and is our goto restaurant when staying nearby. The atmosphere was buzzy as usual and there was a resident pianist playing in the bar area. We were seated quickly without fuss, we might of had a drink at the bar first however there was a very large table occupying that area and we decided to go straight to our table. The menu is varied and offer a taste and budget for everyone. There is the regular a la carte, a table´d´hote menu, pre and post theatre menu and a green menu for us vegetarians. I opted for a smoked cheese burrata on roasted aubergine which is a really nice starter and would be better if the cheese was more smoky as the smokiness was barely there. Being a non meat eater I chose the vegetarian chilli which more than satisfied me, it was thick & chunky and the flavour was spot on. This was served with corn chips. My partner was also satisfied with his choices. The waitress was very patient with me in helping to find the right red wine for my taste and offered four tastes before I found the right one. We love this place it is comfortable, has a warm & friendly atmosphere and is not pretentious for these reasons I would have no hesitation in recommending this venue. As previously mentioned this establishment moves on 23rd July albeit only a two minute walk around the corner. I cant wait to visit the new restaurant and hope it continues with the same dedication of service to its customers. A birthday celebration meal Pre theatre trip. Enjoyed by all, a good value meal with great staff. Love, love, love this place! 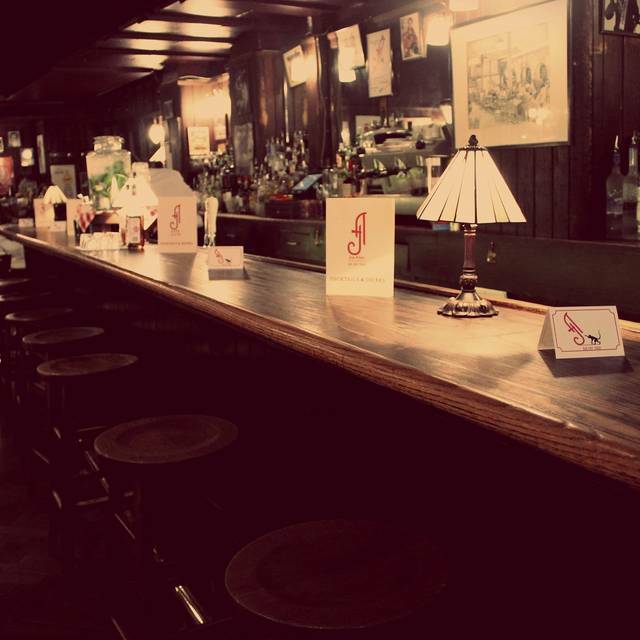 Can't wait to see what the new location brings, but we'll still be loyal - just love Joe Allen's! We went for early dinner on Saturday 24June. Initially just really poor; began with warm white wine, then main courses arrived before the starters. A polite complaint led to a real improvement and a proper gesture to put things right from the manager. But seeing how busy she was I suspect this inconsistency happens frequently. A great shame as I love the place. 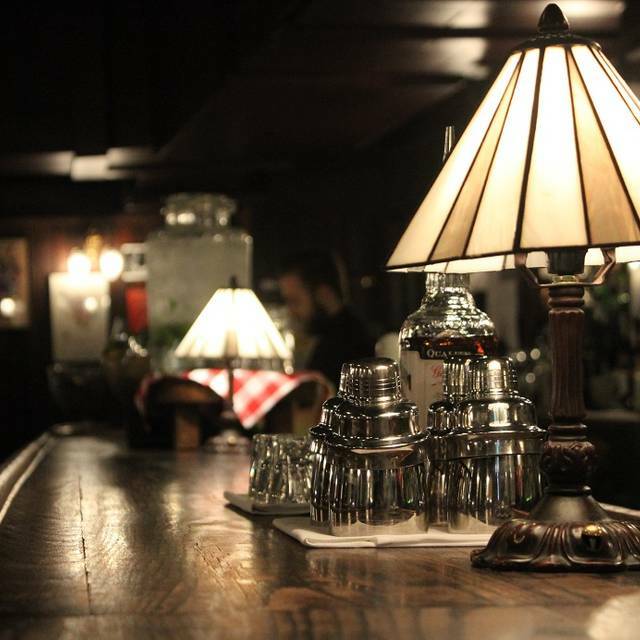 Joe Allan's has been around a long time and the standards have never varied. It's great for post theatre dining which is why I've always come here and will continue to do so even when it moves to its new location in a few weeks time. We had a lovely family meal here on Sunday for Father's Day with our young adults and teenage kids. The ambience and food was perfect for this occasion. 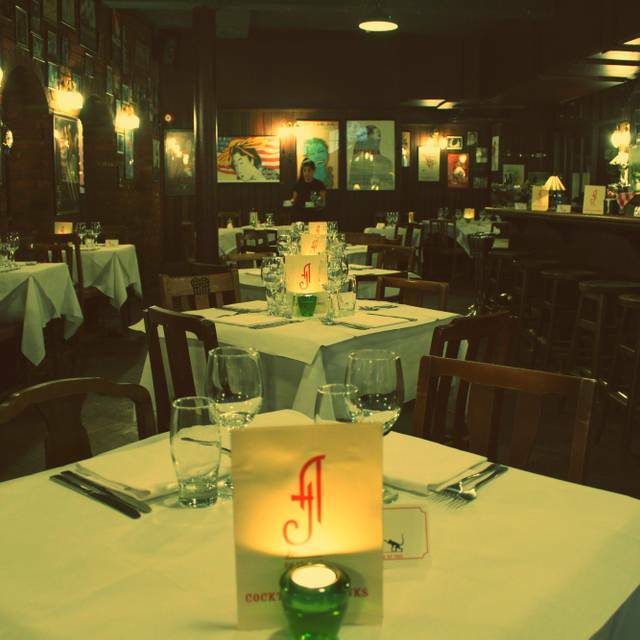 Joe Allen's is a favourite of ours and we're looking forward to their relocating very soon. It is very possible that we where there on a bad night. They were moving locations soon so perhaps that had an impact to the quality of food. Interesting menu, very speedy service and exceptionally good value! 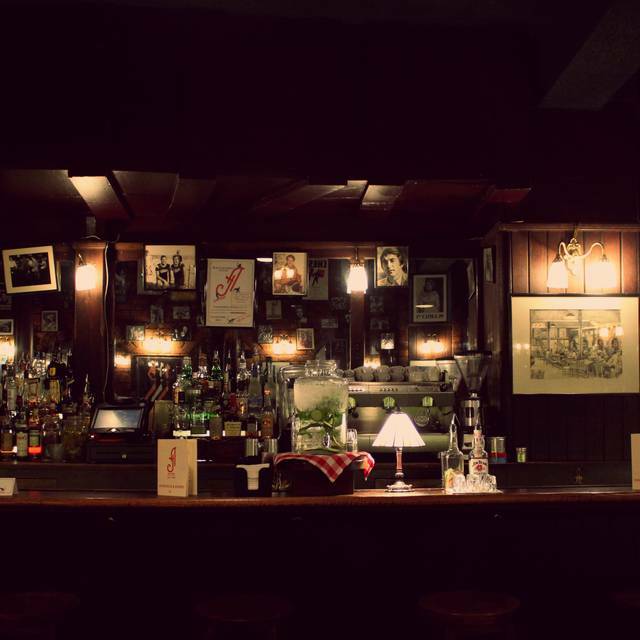 a tradition and discrete venue on the London scene. the history and background to the place is evident. the overall atmosphere is just lovely; discrete, calm and fun with lovley service, a varied and easy menu and perfect staff. Lovely basement restaurant, hidden away behind a red door. Nicely busy but not crowded or on top of other diners. Service was very good and food came at exactly the right speed. The food was lovely and we especially enjoyed the jugs of beer. Would come again. 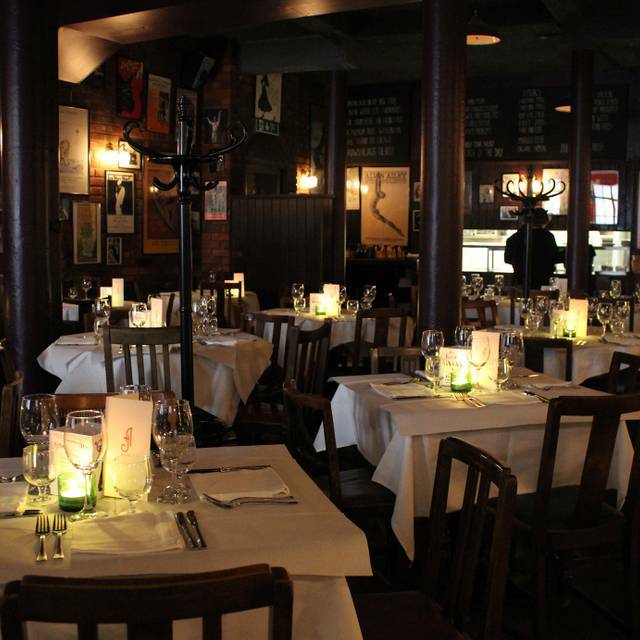 Good food, fun and attentive staff, great atmosphere and fairly priced menus. Have been visiting Joe Allen's for lunch since the 80s. Always a fun ambience. This remained but for the first time after a long absence (of years) found the quality of food disappointing though the prices still excellent. Excellent as always! Amazing food, fantastic service and great ambiance. We usually eat here 1-2 times a month with different groups of friends and normally we are treated very well. On Saturday evening me and four friends ordered ALL the dishes from the Starter menu and two main courses so that we could all pick at what we wanted. We would have also had a few bottles of wine as well as spirits. Our bill would have ended well over £250! Unfortunately, we were told that we couldn't do that (after we had ordered drinks I might add) and was told we HAD to have main courses. The cost of what we ordered was over £100 in food and if we had all ordered main courses only with an average of £15, this would only total £85, so where is the sense in that?????? Surely a restaurant should cater for their guests and not implement pathetic rules of what can and can't be ordered? After-all this is an American diner, not a Michelin star restaurant where you have to wait months for a reservation!! It wasn't as if the place was full either, there were many empty tables! Sadly Maxine, the so called Manager obviously has no clue about hospitality and I am glad to hear she is on her way out. We will certainly not be taking our custom back until the management has changed and their customers are respected. Unparalleled atmosphere, good enough comfort food, but a really inattentive staff, commencing with a Maitre'd that simply pulls out the table for you and then walks away without saying a word. From there, the ability to flag a waiter, from the start of the meal to finish is near impossible. Need to refine their steps of service. Was there twice this week and will continue to go back regardless. This restaurant never disappoints , great location providing excellent food at a reasonable price. Atmosphere and wine were both very good, as was the desert. But the main course was not many degrees above "cold" and was not up to the standard experienced on previous visits, unfortunately. 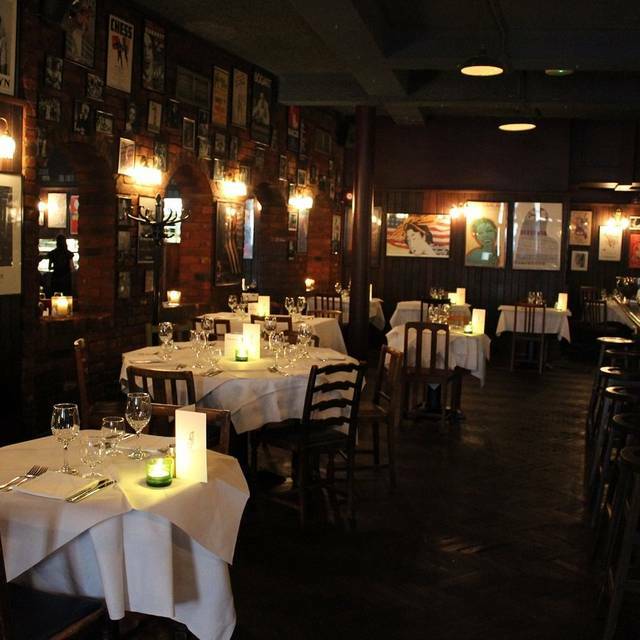 Had to book a restaurant quickly, as had previously booked for la Brasserie in the Brompton road London, through open table, two months ahead and the restaurant at that time, had been going for 45 years. I discovered two days before the booking ,that it had closed down with no warning from open table ,VERY POOR. In fact when i tried to then book Joe Allen, all i got from Open Table was double jeopardy you are already booked. Any way went to Joe Allens and it was very good ,despite having found out on the day of the booking that their hygiene rating was a very poor one out of five. Great place for a get together! There is a good vibe, great decor and good filling food. Lovely to have a place that never changes. Always manages to have just the right atmosphere. We had a great time - relaxed atmosphere - I particularly enjoyed the company of the dachshund at the next table - and fab food and wine. With friendly, helpful and efficient service, this is a lovely place to meet up with friends and family. Fabulous pianist, delicious food & good service. One of the few places where a steak is always cooked exactly as requested. 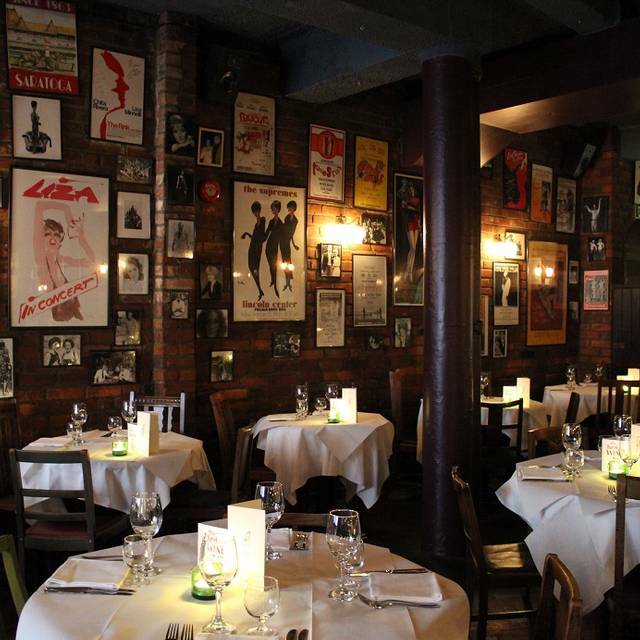 Excellent food in a perfect environment for stage and film lovers. Very enjoyable evening out with the family, don't forget the burger that's not on the menu. Very good service and delicious food at an affordable price. The food has improved over the last few years and is excellent value for money! The staff are friendly and efficient, while the ambience remains unchanged...thankfully! Another great pre theatre visit to the American theatre orientated restaurant I've been coming to since it opened. Service wAs prompt and attentive as ever. I tried a dish for the first time..chilli beef .it was divine. Ideal for post or pre theatre. As it was a special occasion (a celebration of an 80th birthday) I wanted to book somewhere a bit different from the usual chain restaurants. Joe Allen's certainly met that requirement, but I found it difficult to read the menu as the lighting was not just low, but insufficient! However, once the menu had been read out to me, I managed to find items I liked, and the food was good and service attentive without being intrusive. Enjoyable enough, but not outstanding.